When it comes to communicating with your customers, email is the first channel you may think about. According to a MailChimp research, email marketing has an open rate of around 20% (depending on the industry), with a roughly 3% CTR (click-through rate). But what if I tell you there’s a way to increase the open rate of your messages from 20% to over 90%? Well, with SMS marketing you can. You should be very surprised to know that SMS marketing wallops email with a 98% open rate and only 1% spam. With nearly 7 billion mobile subscriptions worldwide (around 95% percent of the world’s population), there’s not a better way you can effectively reach your audience. But of course, you need a tool to help you manage those messages to your customers. In this post, we are going to talk about Heymarket, an app built to give businesses the opportunity to harness the simplicity and power of SMS in complex ways. 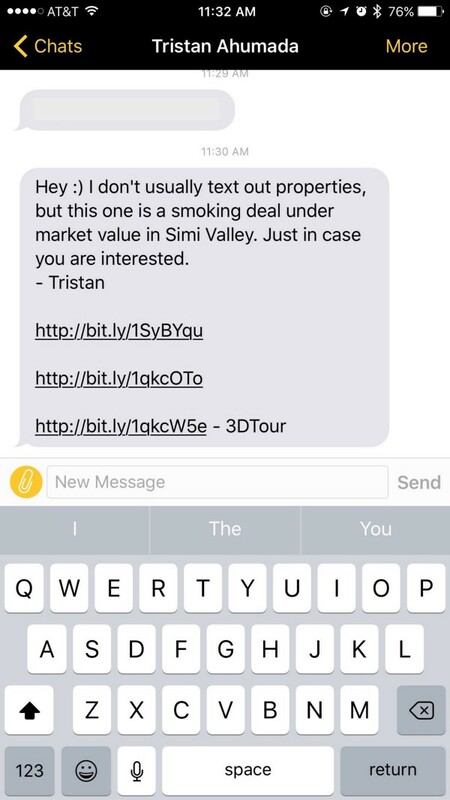 For many businesses, text messages have become the preferred (and most converting) medium of communicating with customers. SMS allows an immediate and direct way to get in touch with your audience. templates and many other interesting features to nurture your relationship with customers. We first started thinking about the need for Heymarket when I got a text from someone who was helping me coordinate delivery of some furniture; he accidentally texted me Sunday morning apologizing for Saturday night, a message intended for someone else. And while that was funny, the reality is texting was crucial and helpful in our exchange that it dawned on me that there needed to be a better way for the professionals that rely on it. Heymarket offers many useful features to let businesses interact and manage their customers. Let’s see them into details. With Heymarket, you can schedule appointments with your customers by simply sharing available dates and times in a text message with just a few taps. 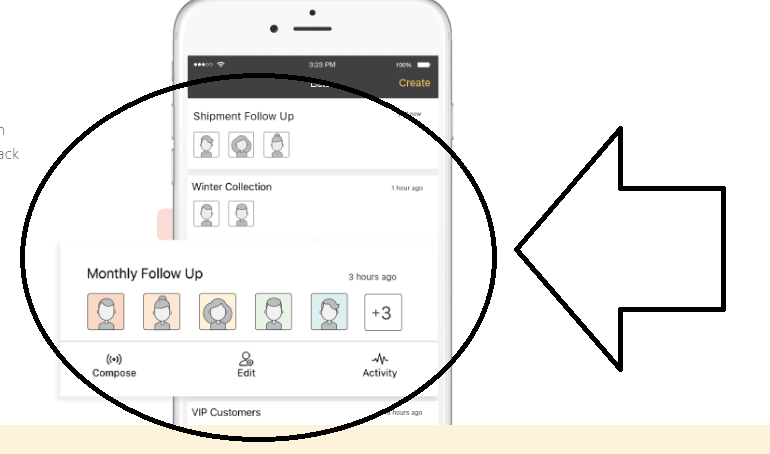 Aside from scheduling meetings, you can set reminders to follow up on your customer messages and loop in co-workers for additional support. You may want to export chats with an easy step. The app lets you also save much time by working with your contacts, calendar, and photos. 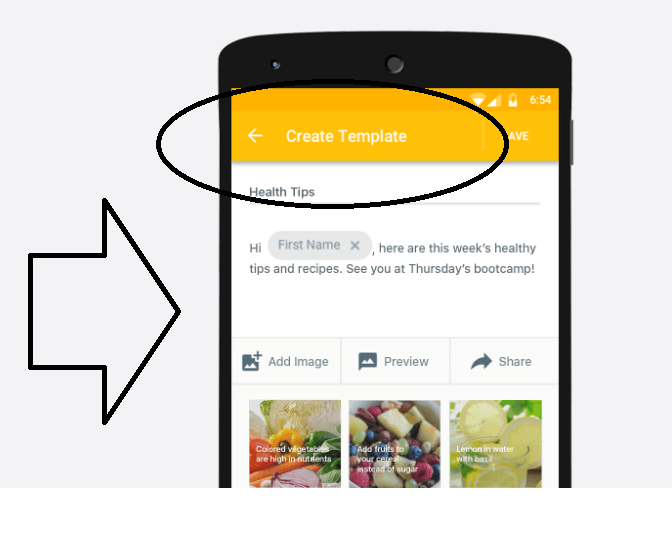 Create templates that include your texts, photos, links and your customer’s first name. For example, if a real estate agent needs to send pictures of houses to potential buyers, he has the option to select, attach and show them, thanks to HeyMarket. Then, the platform will auto-stitch them together and assign a URL that your customers will receive. This is a smart feature, if you think about sending a huge amount of data, as it eliminates instability and increases the speed of communications. Once sent, you can track who viewed your messages, so to quickly identify which leads are hot or which are cooling and using a follow-up with lists and reminders. Like email marketing, also with Heymarket you can organize your contacts and divide them into lists to send personalized messages. Each text is treated as a 1-on-1 message – like a Bcc: email, so each client receives a private message and can reply directly to you. You can even track who viewed the attachment in a message. Thanks to Heymarket, you can work fast together and increase productivity. Invite your colleagues to a conversation and respond as one. 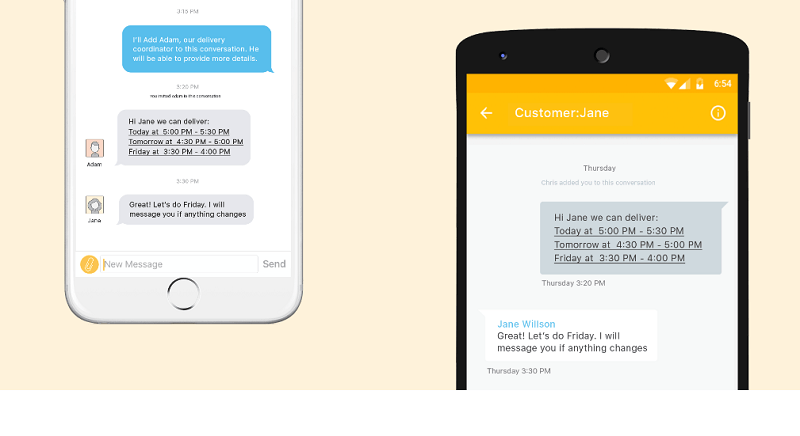 Customers will only see your number and you have full control of which messages coworkers can see. Note: an important point to mention is that this app works separately from personal mobile phone numbers, so you can keep the relationships with clients even if the employee with the original contact leaves. Heymarket has a free trial and offers a premium tier for $7.99/month which unlocks unlimited domestic text messaging, lists, templates, export, scheduling, reminders and more (the subscription will be charged via your iTunes account. Your subscription will automatically renew each month unless canceled at least 24 hours before the end of the current period. Manage or cancel your subscription at any time in your account settings). Companies like Climb Real Estate, Magnolia Best Buy, and HD Buttercup are using it every day to professionally message their customers. While email marketing still remains a valuable and effective way to reach your audience, SMS marketing looks like a powerful medium to increase the chances to reach your customers. 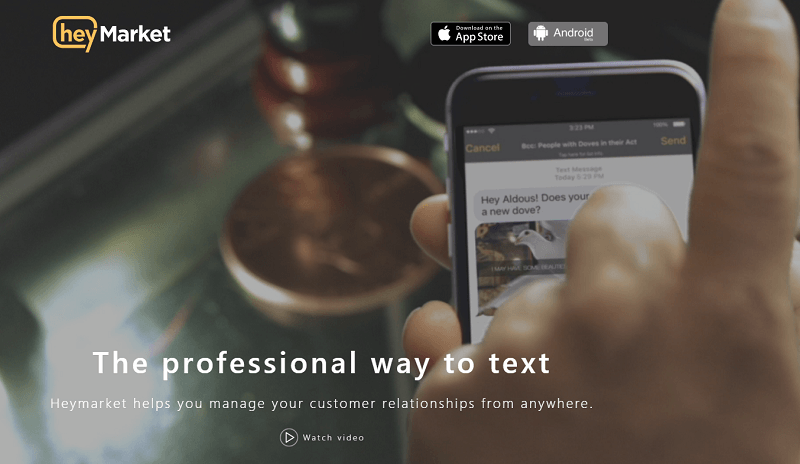 Heymarket has created a functional app that let businesses use short messages in a professional way. Have you ever heard of Heymarket? Erik, I must say this is one of the first posts I have read on text marketing, Love it! What a great idea. So many of my customers now text me vs emai that I believe the time has come for it. I haven’t accepted many stores to text me yet for fear of going over my data with their texts. Any thoughts on that one? Thanks for sharing about this! Yeah, it may seem problematic for privacy to get the phone contact of customers, but if you think about it, you can easily block the number with the smartphones of today, when someone exagerate with too many advertising. It happened to me several times to block numbers of call centers for callimg me without authorization or people texting me without knowing them. So I guess that SMS marketing should be seen with a modern optic and a potentially powerful way to get in touch with your audience or for business purposes. This looks quite interesting and a new way of marketing. I would love to give the Heymarket app a try. Let me know how your Heymarket test goes.